However, there is several good reasons for NCDOT to stay and make a home in the region. 2) No serious competition. The big alliances don't really desire Providence so the chances are low anyone is going to kick you out for your space. They might kick you out for political reasons, but not for the space itself. What do they want? Provi, of course. The "Nobody wants Provi" is pre-Dominion thinking. With system upgrades available, Provi is much more attractive than it was of old. Further, Nullsec space is needed to build Supercaps - the ultimate coin in New Eden. Unless a wild card or two comes into play, I expect NCDOT and Evoke will carve up Provi between the two of them after the holidays. CVA can no longer win the region by relying on the indifference of others. Providence is now valuable turf. If CVA wants it, they will have to become strong enough and clever enough take it and hold it from all comers. CVA, NC and Ev0ke have finished gobbling up all the "free" space in Providence. After the holidays I expect that party to begin in earnest as NC and Ev0ke attempt to take full control of the region. 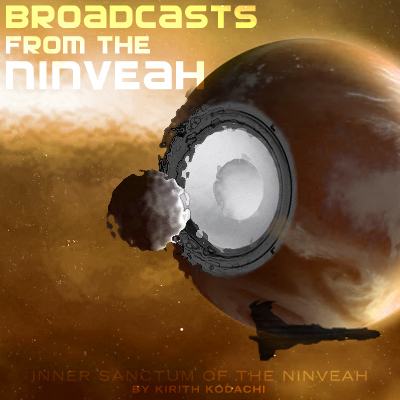 Kirith Kodachi over at Inner Sanctum of the Ninveah wonders how much of Providence space NC wants. My answer is "half', with the other half going to Ev0ke. The old conceit that no-one wants the wormy old Providence region is pre-Dominion thinking. With system upgrades available, Provi is much more attractive than it was of old. Further, Nullsec space is needed to build Supercaps - the ultimate coin in New Eden. Provi has value these days, and anyone who wishes to hold it will have to do so through strength of arms rather than indifference on the part of the competition. First off, Mord Fiddle is far more in tune with New Eden politics and is better an analysis of the situation than I am and I have no reason to think he is wrong about the current scenario. Now the root of my point 2 in my original post stems from the observation that since Against ALL Authorities eviction from Catch non of the large power blocs made a move against the New Provi Residents (now mostly ex-New Provi Residents) which suggested to me that the space might be too expensive for the quality therein, regardless of system upgrades. I thought that having a station in system made upkeep more expensive for the sov holder, but a quick check of the sovereignty mechanics via Evelopedia shows that outposts add nothing to the bill. So in light of that, one can say that the major powers that have decided to make Providence their home is going to be NCDOT and Ev0ke, much like Mord has stated. Rumours have it that Important Internet Spaceship League have cut a deal with Ev0ke so along with Not Found. <404> and Ewoks they control over a third of Providence. It remains to be seen if NCDOT expands itself into the local constellations from the "LFA Pocket" or whether they bring in allies to occupy the space once evictions occur. 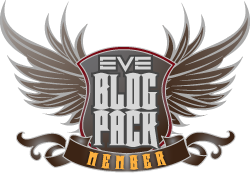 A third possibility is that Ev0ke Bloc and NCDOT are content with the space they currently occupy since there is a high number of stations and combined with upgradable space it can support a fair number of industrialists with relatively easy access to empire, and leave CVA, The Kadeshi, Chaos Theory, and Legio Astartes Arcanum alone as sort of a local "PvP preserve". Unfortunately that feels more like wishful thinking than an actual strategic possibility but weirder things have happened. I would love to know what Ev0ke and NCDOT are planning, but in the end it matters very little to me and my allies. We're here to fight and advance when we can and retreat when we must. Well, I don't know what NCDOT and EV0KE are planning, but here are some thoughts to consider. NCDOT currently occupies all of constellation ZQ2-CF in the South-Eastern quadrant of Provi, as well as key systems in the 4BZ-R3 constellation that provide NCDOT with access to Catch, where it's on good terms with The Initiative. It may seek to roll up the pipeline between the two regions, however a more likely scenario is that they sqeeze the CVA and Legio stations in HS7W-T contellation along the Southern border of Provi, though they may attempt to pick up the former Noir. Mercenary Group constellation of H-KW4A first. Meanwhile, I'd expect to see Ev0ke go after the former C02 holdings in Q-6LG1 constellation. If Evoke and NCDOT are smart, they'll coordinate their attacks, forcing CVA to defend both their Northern and Southern holdings at once. If CVA stays true to form, they'll attempt to defend both at once rather than cut one piece of sacred real-estate loose in order to save the other. Their forces split, CVA will not have the concentration of force to defend either. That will effectively push CVA back into 04-H4M in the South-West corner of Provi for yet another last stand. It's worth noting that Ev0ke currently hold R3-K7K the gateway system in 04-H4M to lowsec Misaba. 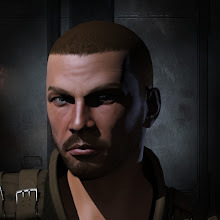 When the time comes, they can stage heavily from that station, camp the system gates, and choke off CVA reinforcements/resupply from Amarr lowsec that doesn't come via jump-ship. Yikes! I've been so busy the last two weeks with getting the new Alliance up and running I lost track of what was going on in Provi. Sounds like it could be fun though, hopefully you guys get some good fights out of it. With Ev0ke/Ewoks being solely Germans with a strict non-posting policy, they will leave everyone guessing. With the acquisition of R3-K7K (and 404 starting to SBU the bordering systems of R3) it's quite obvious they are building a beachhead in that area. As soon as the Jumpbridges start onlining, you can expect more action there. Honestly, i'm not sure what Ev0ke even wants with all that space. They have currently enough space to give every corporation their own Outpost and Ratting-System and build supercaps. Maybe they want to sell/rent out the CVA-Space. Right now they should concentrate on taking the few actually valuable moons in Provi and surrounding lowsec to finance future Sov-upgrades. But with White Noise attacking 404s Sov in Y-M the Germans are probably to busy for that right now. NCDOT currently has a lot of internal problems, lacking good FCs thanks to Twinkey being largely AFK and lacking direction, so that will be another problem for Ev0ke in the near future with NCDOT being their only USTZ-Ally.